Pratt Street will be open for business, but closed off to cars from 12 p.m. to 9 p.m. when NCAA Tournament games are played in Hartford March 21 and March 23. NCAA banners and flags have already gone up there to mark the occasion. The city of Hartford is going back to a familiar strategy with the hope that local businesses can capitalize on March Madness. Beginning March 21, the NCAA Tournament returns to Hartford for the first time since 1998. The games are being played at the XL Center, but the city’s plan is to attract tourists to a nearby destination – Pratt Street. Hanging Hills will be selling its best brews to patrons as part of an endeavor to bring a “Pop-up Brew Pub” to Pratt Street. Vehicles will not be permitted to drive on the street from 12 p.m. to 9 p.m. on the days where tournament games take place in Hartford. This is something that’s been done before so that cars don’t interfere with area foot traffic -- people with money to spend on entertainment. The XL Center in Hartford will host six NCAA Men's Basketball National Tournament games on March 21 and March 23. It's the first time the tournament has come to Connecticut's capital in 20 years. In addition to the pop-up pub, there will be live music, artist performances, and some 75-inch TVs placed throughout the area so people can follow all of the game action. 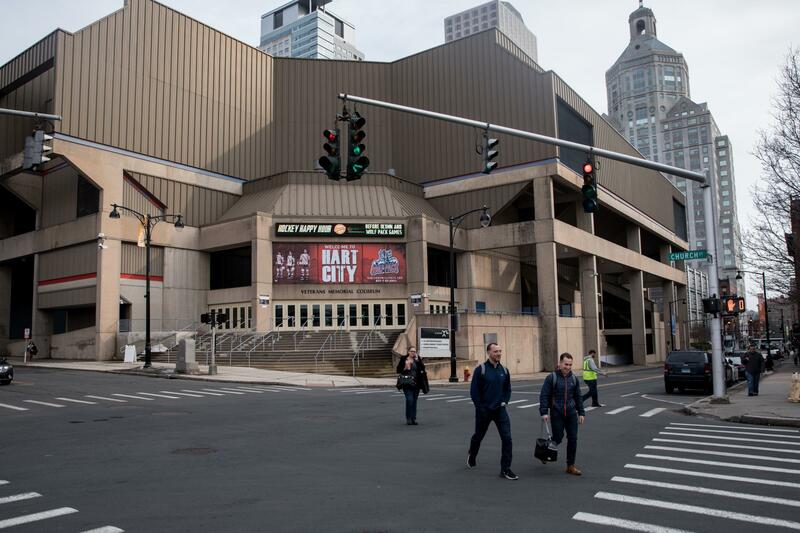 “We’re hoping that – on that Thursday especially, when you’ve got the two sessions and all eight teams are playing -- we’re hoping to keep everybody downtown,” said Chip McCabe, the director of marketing for the Hartford Business Improvement District. McCabe’s organization is partnering with the Hartford Chamber Of Commerce to put on the event. “There’s tons of great restaurants, tons of entertainment opportunities and so, we’re hoping that those dollars that could drift out of the city stay there for at least that three-day weekend,” McCabe said. The Connecticut Convention and Sports Bureau is anticipating that a total of $7.7 million in revenue will be generated into the area as a result of the tournament. The XL Center is expecting 13,000-14,000 fans per session – there are three sessions. A total of six games will be played there March 21 and March 23. The Hartford Yard Goats are taking ‘peanuts and Cracker Jacks’ out of the ballgame.